And, best baby gift ever. Think about it: Your friend is expecting. Your friend doesn't want to know the gender of their baby (very trendy these days.) Your friend is a sushi addict and *cannot* wait to eat sushi again. Well, for all these reasons, you should give them this funny sushi onesie to wear for Halloween. It's adorable, original, and absolutely delicious. And, you'll be everyone talks about at your friend's baby shower. As for me, I am very tempted to get it for my baby niece, as she'll look fffabulous in it, and it'll be the only sushi my sister is not allergic to—in fact, quite the contrary. Un joli clin d'œil. October is Breast Cancer Awareness Month and we plan to feature cool products that benefit Breast Cancer Research throughout the month. With the days getting colder, we thought that featuring the Baby Jak "Softest Blanket Ever" was 'cool' since it's one of our fffavorite baby accessories and the perfect gift idea this holiday season. Throughout the month of October, Baby Jak is offering 25% off all Think Pink and Pink Rose blankets when you enter coupon code pink at checkout, and they'll donate 15% of the proceeds to Breast Cancer Research. Can it get any better than that? Pick your fffavorite blanket sizes from the snuggle blankets, classic baby blankets, nap and lap blankets, and throw blanket, and you're guaranteed to be warm this season or make someone very warm and happy! Kids love books. They love to be read to, listen to beautiful stories, and look at colorful pictures and funny animals. But they'll love it even more if they can become the hero of those amazing stories. This happens to be exactly what flattenme.com is all about, and this is absolutely fffabulous: Choose your story (we love the potty dance, and the magical under-the-sea adventure), upload your child's photo, and you are all set to make your child the happiest child on Earth. I discovered flattenme.com back in December while reading sfbaystyle.com (it made The Today Show too), and I was wowed by this children's book concept right away...What an amazing idea, and what a precious gift to give to a child. Go get one for your child, your niece or nephew or your friends' child now. They'll love it and they'll love you for it! fffabulous baby week may be over, but I still have a few fffabulous baby things to talk about. So here we go! Children's books are very dear to me because reading to a child is much more than just reading a story. It is about creating a bond with your children and snuggling and cuddling with them while reading their favorite books; it is also about developing children's brain connections since they are so influenced by these repetitive positive actions when they are read to. So, all in all, I am a big fan of reading to kids, and therefore of children's books. 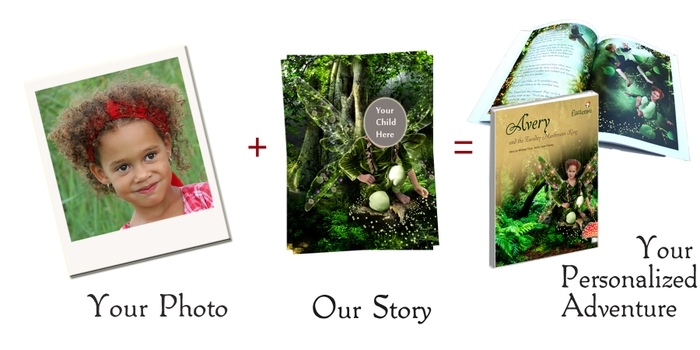 I heard of the My Special Tree children's book through a friend, and I had to meet its author, Raki Desai. Raki used to be a teacher at an elementary school; she is an avid reader herself, and she loves children books. Raki wanted to write something special, that 'special book' that would be appealing to everyone: a transitional book that not only kids would enjoy, but one that much older children would also love while getting its message and the meaning behind the whole story, too. I have to admit that I liked this because I always hear of parents who have children of different ages that do not know how to please them all. Problem solved! Do you want to know more about My Special Tree ? Well, here it is (highly simplified and without all the cute illustrations from Dylan Pecro, an up-and-coming illustrator): My Special Tree is about a young girl who has a tree that is very dear to her; she writes stories under her tree all the time, and as she gets older, she has to go to college and leave her tree behind. While in college, she gets to study architecture and after graduating, she gets to do her dream job: build a toy store (kids will love it!). The issue is that the company wants to use the land where her tree is!!! After much debate and letters to the company, they finally agree to build the toy store around that special tree. Yay! I love every stage of the book, as it can really relate to so many children: children who have something or someone special in their life, such as a pet or a book; children who are starting school and are facing a transition; children who can understand what it is like to have a conflict and know how to weigh the pros and cons of a decision; and even us adults! Another great thing about this book is that it is a nice reminder that every single tree is indeed special, and every single tree counts! 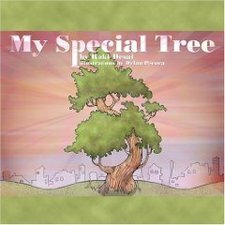 My Special Tree is the first book that Raki wrote and published, and it is a very special book! Thanks Raki! UGG boots are cool. But UGG boots for little kids are even cooler, and they are just plain cuter. 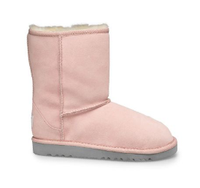 I would buy a pair 'just because' the UGG Toddler's Classic Boots look so precious. And even though they are expensive, your baby will probably wear them for a long time since they do stretch over time...okay, maybe not for a couple of years, but at least long enough to learn that UGG boots are definitely the way to go. Plus, it doesn't hurt that Kingston Rossdale, Gwen Stefani's adorable son, wears them too! Who would have thought that I would feature so many pairs of shoes during fffabulous baby week? Not me!!! fffabulous baby week wouldn't be fffabulous baby week without a word about this fffabulous site called savvyauntie.com. savvyauntie.com launched in beta back in July 2008 and is meant for all of you ladies who are totally mad for your nieces or nephews and friends' kids, and who want a place online where you can talk about them (and yes totally show them off!) and feel safe to ask questions about kids, their health, nutrition, and even what they're into these days. What a fffabulous idea! Melanie Notkin, savvyauntie.com founder and a PANK herself (as in Professional Aunt No Kids), was generous enough to spend some time with us to discuss what savvyauntie.com is all about, and I so love what she has to say. Thanks Melanie! Oh, and this blog post is our first ffface-a-ffface post, the first of a series of fffun interviews with entrepreneurs (or should I say auntrepreneurs? ), fashion designers, etc. Yay! What should a savvyauntie check out first? savvyauntie.com consists of four different sections: the expertise section, the activities section, the gift ideas section and the community section. All sections are great (of course!) but I'd recommend that aunties check out the community section first to get a sense of what other savvy aunties talk about on our message boards: they discuss what they often do for and with their nephews and nieces, e.g. what perfect gifts they do get them or what they consider a special day with the kids are, etc. The community can also help an auntie with information about health and nutrition, special needs, coaching, as well as law and finance, such as how to become a legal guardian, etc. What's the perfect gift a savvyauntie should get for her niece or nephew? There is no perfect gift. Every child is different and, at the end of the day, it shall be about what the child wants. In fact, it is not even about the dollar amount you put in the gift, or the number of bells and whistles on the toy you choose; it is about listening to what the child wants, about the gift that fits his personality. But you need to keep in mind that a child may tell you what he or she wants at this very moment, but a month from now, 5 new other things might pop up. What I like about gift giving is that a real bond can be created that way, as well as an opportunity for mentorship. A savvyauntie can be into green stuff, and influence the kid to appreciate sustainable goods, or a professor and give the child a development tool; there is really no right answer, and it is for you to decide what is right for the child and what you can bring him or her based on your passion, skills, etc. What is your idea of the perfect baby shower gift? What is your idea of the perfect activity to do with kids? Fall is coming and apple picking is my favorite activity by far at this time of the year because it always turns into a day full of fun and diverse activities. You start with a trip in the car, pick the apples together, and then go home to bake that special apple pie or that sweet apple sauce. How great is that? And throughout the day, you take a lot of pictures and end up creating a scrapbook that captures all those fun moments spent together. This very simple activity ends up creating experiences and fond memories for the child to remember for many many years. I will never emphasize enough the power of our community. We created auntiepedia for all aunties to reveal the savvy aunties they already are; for them to create and share their own content, skills and knowledge. We know that every auntie is *very* good at something, and we want aunties to share their savoir-faire on auntiepedia for the benefit of other equally knowledgeable aunties. We also have a very successful forum where aunties can ask questions about issues they haven't found on auntiepedia. Any final words of wisdom to share with our fffabulous readers? What I hope is that each and every single auntie will find answers to her questions at every stage of her life and for every special needs that she has, so that a savvy auntie can hopefully cope with anything that comes her way when interacting with her nephews and nieces. We teach savvyaunties how to complement the parents, in a way that is beneficial to the kids; by providing safety guidelines when hanging out with the kids and by providing tools, so that a child feels loved and happy around them at all times. "Hello Ms fffabulous, How are you? I have a recommendation for you! Eduarda got a pair of shoes for her 2nd birthday...and as soon as I opened the box, she jumped at it (for a girl who loves to be barefoot, that was pretty unusual.) These shoes are so cute and so soft, I immediately went online to check the Monkey Toes site...and to my surprise...Suri Cruise has a pair, they have been featured on Oprah, etc. 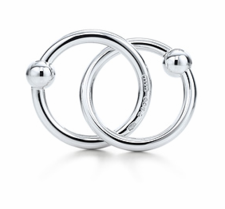 And they are only $29/pair (about $35 with s/h). They are so cute...I bought 7 pairs for her. Hope all is well. XOXO, Luciana." Hmmm, seems like Eduarda (a.k.a. Baby E) is already one fffabulous fffashionista, and I absolutely *love* it! And I sure would love to own seven pairs of Manolos myself. Ha! So if you're expecting and you're not sure you want a big pink plastic 'thing' in the middle of your living room, or if you simply want to impress your friends and show up with the coolest baby shower gift (perhaps you've already given the Tiffany Teething Ring Rattle at another baby shower and want to re-invent yourself a bit), I've got exactly what you're looking for! 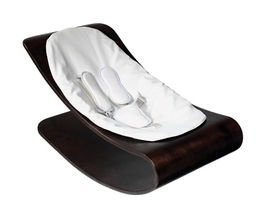 You have got to get the Coco Stylewood™ Baby Lounger; The Coco Stylewood™ Baby Lounger is truly beautiful–and probably comfy too–and it's not too expensive either (relatively speaking, of course). I honestly thought it was worth $500, so imagine my surprise when I found out it did 'only' cost $200 on giggle.com . That's the price of a pair of jeans. Sold!!! And the coconut/white color will go perfectly with your friends' Roche Bobois furniture. Eh eh! But it also exists in a lot of other classy colors. Check them out; they all look so cool! I am fully aware that this is the Summum of baby sophistication, but I think it is just too cute of an accessory to pass on. And think about it–the colors are not gender specific, so whether your friends decided not to find out the gender of their baby, or if baby #2 is a girl and you already have boy--you're all good! 'Mini Gauri' will sure rock the playground with such a cute accessory at hand. It's never too early to be a fffabulous fffashionista!!! Jaime had more than a few gift ideas to recommend for a 1 year old birthday. Isn't it super extra cool? So here they are! 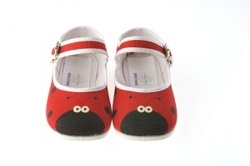 I do love those very cute tiny shoes, and I also wish the Wheely Bug existed when I was a kid! Thanks for the tips, Jaime! A thoughtful alternative to toys would be a photo frame to show off how much the baby has changed in one year. If you're invited to a big birthday celebration, chances are the birthday kid will be receiving a pile of toys and clothes anyway. This is a keepsake that the parents will enjoy as well. Turning 1 means it's time to pack up cutsie pre-walking baby shoes, and upgrade to cool new walking shoes. Parents are proud that their kids are learning to walk, and it's smart to invest in some sturdy well-made shoes (not to mention good-looking too). I really love the girls and boys line of shoes from See Kai Run. Ladybug, bee or cow? So cute. Need I say more? I wish I had a Wheely Bug as a kid. Tara is now a mommy of three! Yay! Baby Noah was born last month (congrats, guys!) and I love it that Tara remains the fffashionista she's always been with a super fancy yet practical stroller. Oh, and I love it that she's already shoe shopping! 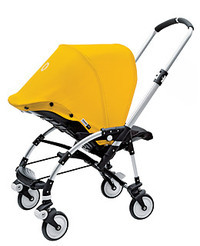 "I adore my Bugaboo Bee stroller! It's so maneuverable I can operate it with one hand while carrying a crying baby or toddler in the other. Also, the basket underneath is roomy enough for my big bag, a blanket, and honestly the other day I crammed in a beautiful new pair of pumps (in the box) and about three other purchases as well. (It was a good shopping day.) Also, it's nowhere near as bulky and heavy as the other Bugaboo models which would break my back lifting in and out of my tall vehicle all day and take up the entire trunk to boot. The Bee collapses easily with one hand (again you can do it while holding a wriggly wee one) and folds up not flat but close enough. I even pushed it up and down hilly dirt roads at a ranch today with relative ease! No joke!" My friend Jaime has the cutest and happiest little boy. Evan is always smiling and singing and trying out funny sunglasses in department stores…and he sure knows how to strike the pose! Evan happened to turn 1 a couple of months ago; and I thought that Jaime could give us some tips of what a 1 year old enjoys playing with, or simply what makes a 1 year old's parents happy (that's important too). So next time one of my friends' baby turn 1, I'll sure know what to get, and you will too! A friend gave my son a magic lamp for his 1 year birthday. These are great because you can purchase different inserts to match with your child's interests. My train-obsessed son was fortunate enough to get the Locomotive Magic Lamp and LOVES it. When the lamp spins at night, your kid will love the patterns of light it makes on the ceiling and walls. It's also very soothing to watch right before bedtime. If you're looking to transition the baby nursery into a toddler room, this is a great gift for a boy or a girl. Your 1 year old will be a little young for this now, but soon enough they will enjoy "play food". The fruit play food by Melissa & Doug is great because it resembles real food that you can cut up into segments. The sushi set is also an original gift for the sophisticated toddler who might already have everything (although you might want to hide the dangerous eye-poking chopsticks and that big fake sushi knife that it comes with it - how scary!!!!!). Tip: Sometimes it's nice to receive/give gifts that a parent can store and take out later when the kid gets older. After all, those toddlers grow up fast - you never know when you'll need to pull out a new toy to keep them entertained. My son adores his chair from Pottery Barn Kids that he received for his 1st birthday. It's just the right size for him to sit and read a book or eat a snack. The color we have is Blue Gingham, but it also comes in a variety of other colors and patterns. For an extra special touch, have it personalized with the child's name. Don't forget to buy both the insert and slipcover (which are sold separately).